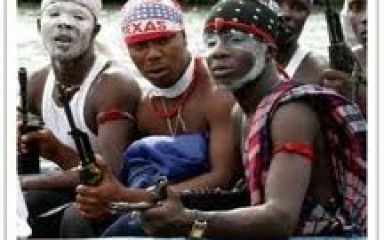 The Niger Delta People's Volunteer Force is one of the largest armed groups in the Niger Delta region of Nigeria and is composed primarily of members of the region's largest ethnic group, the Ijaw. The group was founded in 2004 in an attempt to gain more control over the region's vast petroleum resources, particularly in Delta State. Niger Delta People's Volunteer Force (NDPVF), also known as Niger Delta Volunteer Force is an active group formed c. 2004.